Can I Modify My Child Support Payments? Divorce is never an easy process to navigate, but it can seem even more confusing when dealing with issues like child support. The right of a child to support belongs to that child, rather than to the parents, which means that one parent cannot simply declare unilaterally that they will not pay support at all. However, modifications to the amount or duration can be made, if the right process is followed. Working with your ex-spouse, and potentially with the court, can lead to a solution that works for all involved, including your children. Unlike in some other states, Florida law governing child support has very few loopholes or confusing portions. The parents must have a written parenting plan governing decision-making and support needs of the child or children, and child support payments are generally assessed based on this plan once it is approved by the court. Support payments are based on an established formula, which is in turn based on the parents’ incomes, support amounts are also based on the amount of parenting time that each has. The relevant Florida statute says that a noncustodial parent can only have their support payments changed upon showing of a “substantial, material, and unanticipated” change in circumstances. There are several potential examples of this; loss of a job is perhaps the most common, but other often seen changes include sudden disability, the loss of a caregiver or day-care place for a young child, and a major change in income (generally a 15 percent rise or fall). 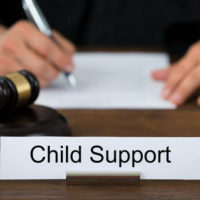 In order to actually make the change, a Supplemental Petition to Modify Child Support must be filed in the appropriate county, with the evidence for why a change is allegedly necessary attached. It is important to know, however, that if you have ever had significant arrearages in support, the Florida Department of Revenue may wind up involved in your modification hearing, to ensure that the arrearages are not ignored or otherwise overlooked after the change is made. Most of the time, even if a change in support payments has been agreed upon by the court, any past arrearages may still stand and must be paid in full, as if the modification had never happened. If you have experienced a major life change, such as a disability or a change in jobs, you may be eligible for an adjustment in your child support payments. In order to make sure that it goes through smoothly, enlisting an experienced child support attorney is a good idea, and at WiseLieberman, PLLC, ours are ready, willing and able to try and assist you. Contact our Boca Raton office today at 561-488-7788 for a confidential consultation.